These words come to us from Saint Thérèse of the Child Jesus, Carmelite nun and youngest daughter of Louis and Zélie Martin. Their names will soon be added to the book of saints next October during the Synod on the Family. They are the first couple to be canonized together. A holy couple, their story has a modern twist. Louis and Zélie Martin met on the Saint Leonard Bridge in Alençon, France. It was an unexpected encounter. Both had previously contemplated entering the religious life. But as it became clear neither one of them were called to a life of celibacy, they vowed to offer their future marriage to God. When Zélie saw Louis, she heard a voice tell her this man was the one God had prepared for her. This conviction deepened the more they spent time together. They got married three months later on July 13th, 1858. Zélie was 27 years old and Louis 35. Zélie already managed her own lacemaking business which she started at only 20 years old. She regularly received clients who needed her skillful hand to create or repair pieces of lace. She eventually opened a lacemaking factory that allowed her to take in apprentices. Her business was thriving. Apart from her leadership and goodwill, Zélie was an anxious woman. This is a character trait she attributed to her difficult childhood. But if Zélie dealt with worry, Louis on the other hand was a gentle and patient man. His talent lied in clock making. He also held his own shop. Louis got into the trade starting at 19 years of age. Despite his excellent reputation, he retired from the clock making business to dedicate himself to his wife’s lacemaking factory, by becoming its client manager and bookkeeper. Career wasn’t everything to them. They were as much accomplices in their marriage as in their work. Both desired a holy marriage. They considered virginity to be an invaluable virtue even between husband and wife and so they practiced abstinence their first years of marriage. They had nine children, four of which died at a very young age. Louis and Zélie raised five girls, Pauline, Céline, Léonie, Marie, and Thérèse. They raised them in the faith and inspired in them charity and holiness. All of them eventually joined the Carmelites, except Léonie who joined the Sisters of the Visitation. 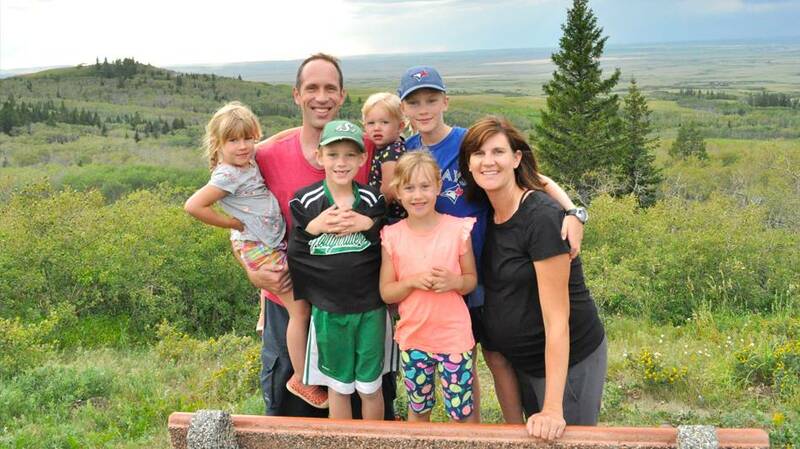 The Martins did face challenges, namely sickness. 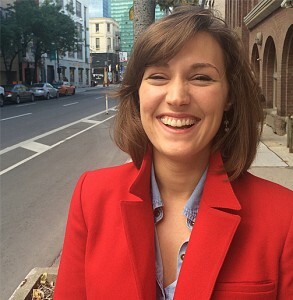 It started with Zélie when she was diagnosed with cancer. The pain intensified every day, without any hope of a cure, until she died at the age of 46. Through her suffering, Zélie held fast to prayer and patiently accepted God’s will and wisdom. “If the Virgin Mary does not heal me, it is because I have done my time and that the good Lord wants me to find rest elsewhere” (last letter from Zélie to her brother Isidore Guerin, August 16th, 1877). Some years after the death of his wife, Louis also fell ill. He had periods of forgetfulness or hallucinations and attacks of paralysis. After several episodes, he was taken to an asylum. He stayed there three years before going back home. Despite his evident weakness, he showed great strength, patience and perseverance. “The things of this earth seemed to barely touch him; he overcame any difficulty that life gave him” (Saint Therese of the Child Jesus, Autobiographic Manuscripts, 1895). 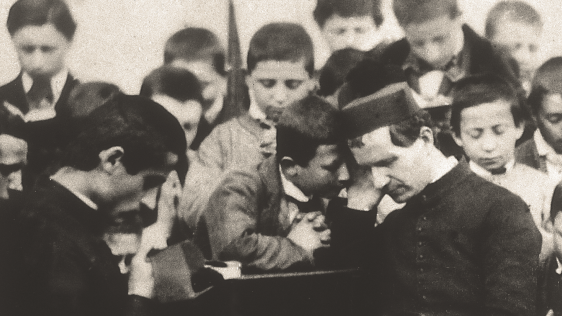 Louis and Zélie Martin call us to a total submission to God’s will and providence. God was first in everything they did. Their unity of heart showed itself in their work, their family life and in their generosity towards friends and neighbours. 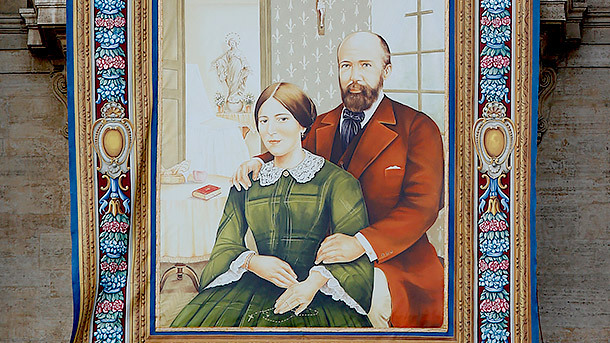 Having known the loss of four children and of a spouse, and endurance in the face of sickness and suffering, Louis and Zélie “were witnesses to the radical gospel engagement of the vocation of marriage, to the point of heroism […] The Martins were not afraid to do violence to themselves in order to possess the Kingdom of Heaven” (Homily, Cardinal José Saraiva Martins, Beatification of Louis and Zélie Martin, Lisieux, 2008). This piece was originally published in the new 2015 Salt + Light Magazine. Order your copy of the magazine by phone 1.888.302.7181 x238 or by email info@saltandlighttv.org today! Tune in for LIVE coverage of Blesseds Louis and Zélie Martin's Canonization Mass from the St. Peter's Basilica on Sunday, October 18, 2015 at 12:00 pm ET, 9:00 am Pt. Pope Francis will preside.